Keeping our borders safe has dominated the headlines, but those borders aren't only over land. "Attention, vessel,” the crew of the plane says over the radio. "This is the United States Coast Guard aircraft 2313. Stop your vessel!" This boat is running south after being spotted fishing illegally in U.S. waters. "You are fishing in U.S. waters,” the crew says over the radio again. “You are in violation of U.S. law." These lanchas are known for fishing illegally and smuggling illegal narcotics or people. 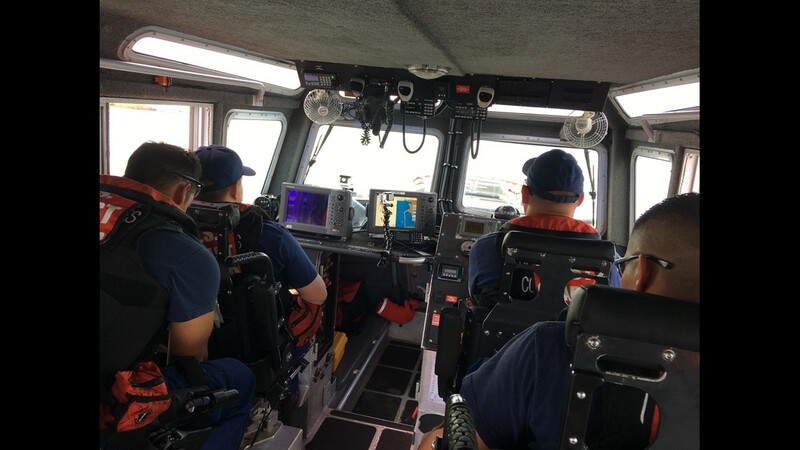 And this wasn't an exercise; on a recent ride-along with the U.S. Coast Guard, KENS watched as they worked to apprehend the lancha. "They know where they are,” Lt. William Dise says from inside the airplane. “They know where they're not supposed to be." 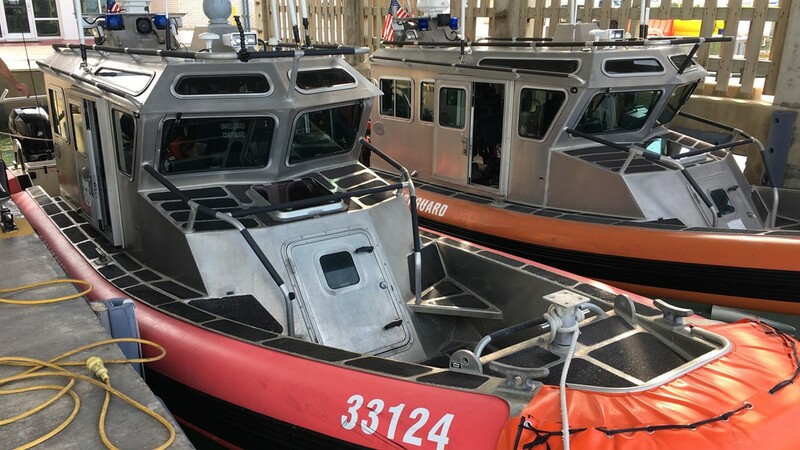 A 33-foot boat sits in the dock at U.S. Coast Guard South Padre Island. A 33-foot boad from U.S. Coast Guard South Padre Island patrols the Gulf of Mexico near the U.S./Mexico border. 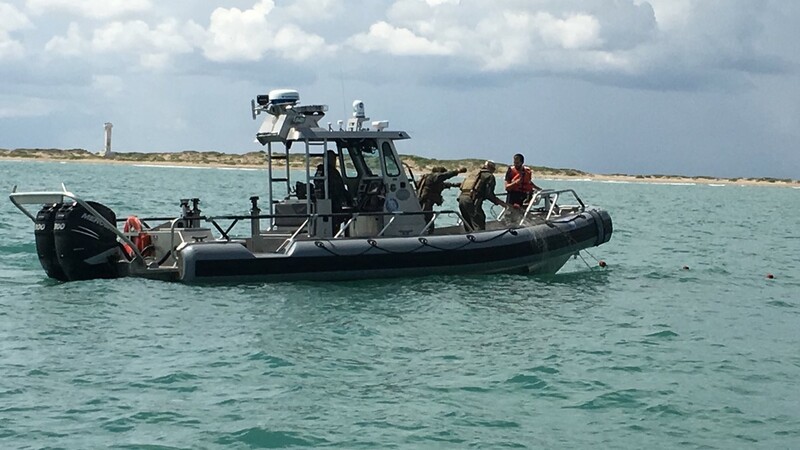 Texas Game Wardens assist the U.S. Coast Guard to pull an illegal fishing net in the Gulf of Mexico. 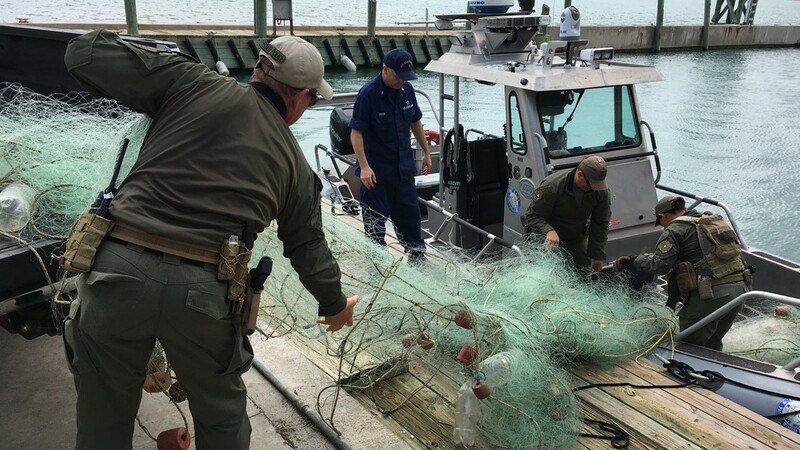 U.S. Coast Guard and Texas Game Wardens unload an illegal fishing net found in the Gulf of Mexico. 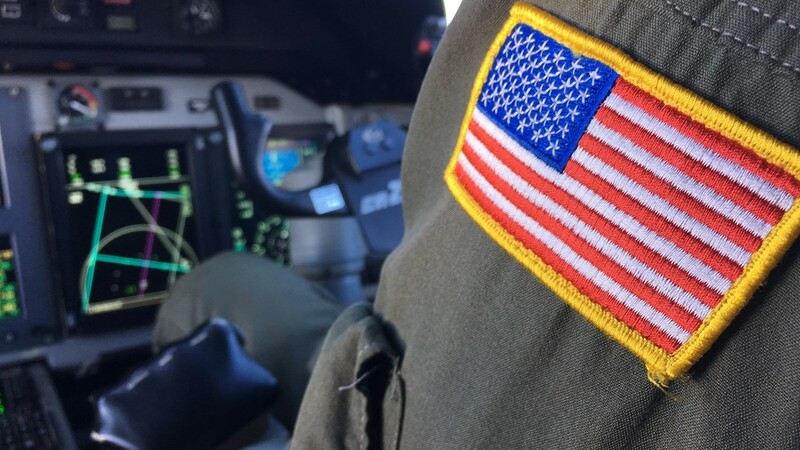 The U.S. Coast Guard flies from Corpus Christi to patrol the Gulf of Mexico. 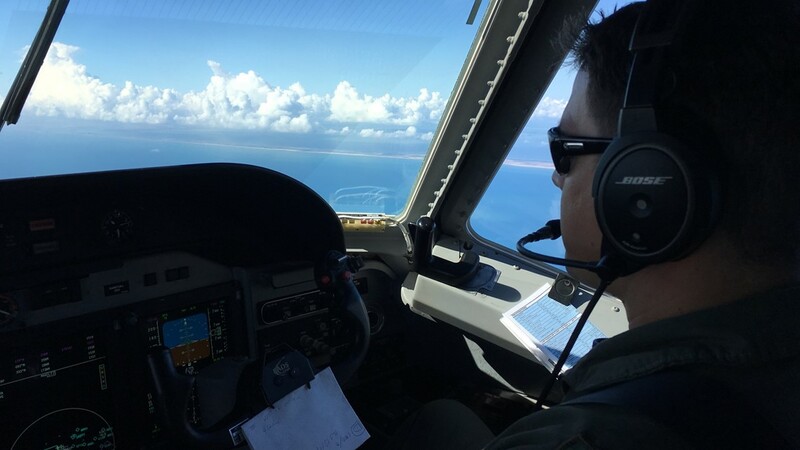 A U.S. Coast Guard pilot controls an HC-144 above the Gulf of Mexcio near the U.S./Mexico border. The U.S. Coast Guard crew in a 33-foot boat patrols the Gulf of Mexico near the U.S./Mexico border. Two 33-foot U.S. Coast Guard boats patrol the Gulf of Mexico near the U.S./Mexico border. Border protection has dominated the headlines recently, but those borders aren't only over land. The job of this crew in particular of six is to keep the illegal activity in sight, and relay that information to command in Corpus Christi. “To make it beneficial and profitable,” said Lt. Wes McIntosh, the aircraft's commander. "To fish illegally outside of the territorial waters as well as run illicit drugs or do any type of smuggling offshore does cause a lot of risk to be taken. To do that, they need to have the payoff." The Gulf of Mexico provides the United States with food, energy, jobs and recreation. This year, more than 1 billion pounds of fish and shellfish will be caught, legally, bringing even more revenue for Gulf Coast states. More than 150,000 jobs exist in the Gulf, and this illegal activity can hurt the entire U.S. The plane gives the Coast Guard a bird’s eye view of the waters below. The crew can see all the way to the U.S.-Mexico border and beyond. “It's easy for us to be at 5,000 feet,” Dise said, “and see something 10 miles away, especially with the camera capabilities that we have." 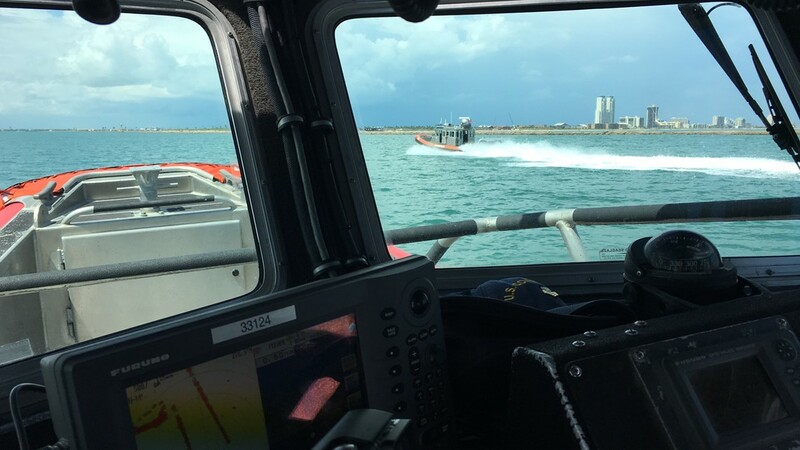 From Coast Guard station South Padre Island, a 33-foot special purpose craft and crew are called to intercept the illegal fisherman. “We are open 24 hours a day," Mees said, “Our border goes out 200 nautical miles from shore. So it's a vast, vast area. Day-to-day, it's extremely difficult out there." Shrimp boats, barges and many other vessels in the Gulf all get a look by the plane above. Most are following the laws, but others are looking to fish illegally or smuggle in narcotics or people. This Coast Guard crew has to be ready no matter when or what that incident might be. “It's very, very challenging," Nees added. “Being offshore, it's a very dynamic environment. With the Mexican lanchas in particular, they not only use them to break U.S. fishing laws, but they also use them for smuggling immigrants and narcotics as well." An illegal fishing net can capture hundreds of pounds of fish. Just last month, the Coast Guard stopped a lancha with a net nearly one mile long. In that net were 139 illegally caught sharks, along with more than 400 other fish. “I couldn't be more proud of these guys,” Nees said. “We've had 60 of these lanchas since Oct. 1st that we've gotten. Some people might throw their hands up, but my crew is willing to go out there and just keep on doing it." 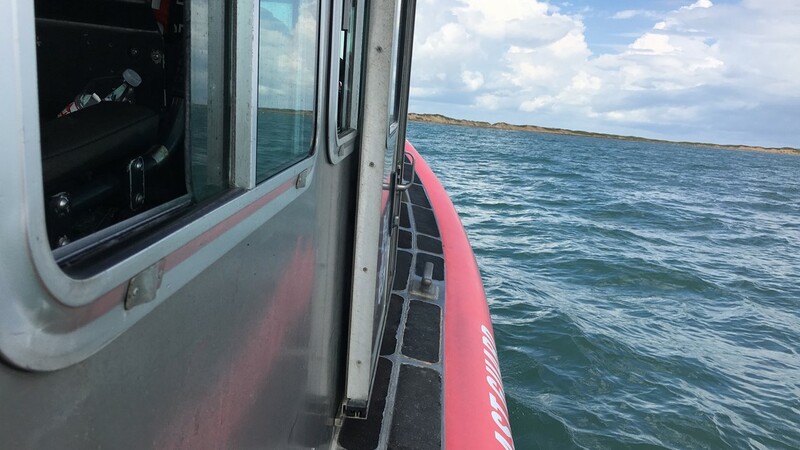 Whether it's illegal fishing, smuggling of narcotics or people, the Coast Guard's motto – Semper Paratus, "Always Ready" – rings true along the border.